Using express consignment facilities (ECCF's) helps minimize the risk of US customs delays and uncertain clearance for e-commerce parcel imports. The January 2018 shutdown was minor with another continuing resolution delaying more permanent action. The 2019 shutdown is a grim reality and going further than experts predicted. More uncertainty and risk for potential CBP clearance delays for imports underscore the need for diversifying your parcel clearance processes via Cargo (CFS), Express (ECCF), Postal, and single importer of record. 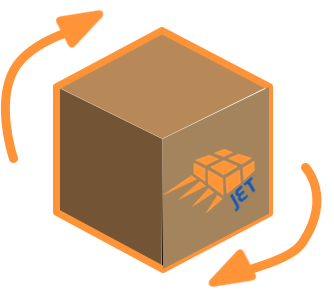 Advanced e-commerce parcel import supply have multiple points of entry and processes to secure their supply chains against risks of shutdowns, slow downs, and work stoppages. Shutdown hardened both sides of the political debate. The confrontational politics of today will cause Congress to view an extended shutdown as worth defending hard line to principles. Standard customs clearance would be viewed by some as a preferred outcome to advance an anti-trade agenda. Services deemed to be "critical" are usually meant to be protected during government slowdown or shutdown. Express consignment clearances are generally considered more critical for clearance than general cargo clearance. Furthermore, express facilities reimburse customs for the cost of express clearance which may give them higher priority clearance. The urgency to complete a longer-term political deal means that the chances of a shutdown are higher. 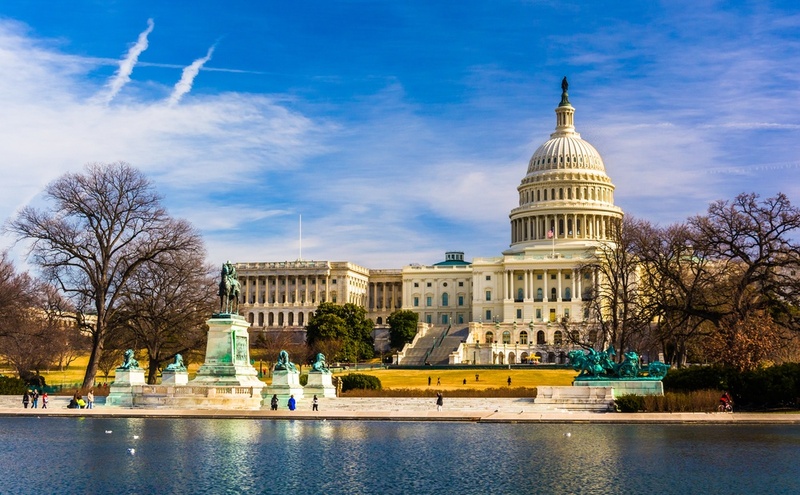 The odds of another short term agreement are less likely as both political parties face the reality of finding compromise longer term solutions. A shutdown may not happen. 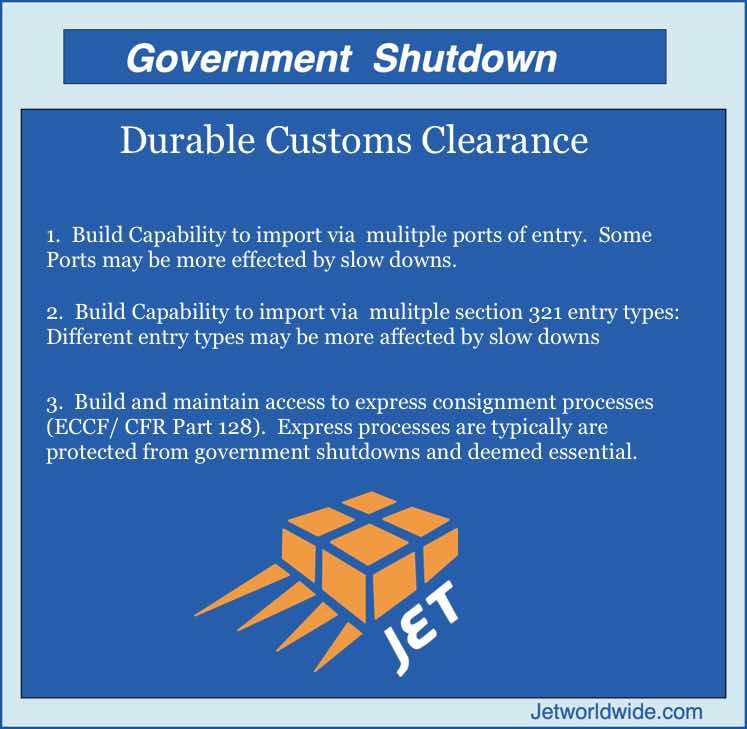 A shutdown may not affect customs clearance. But even temporary slowdowns can create significant backlogs for millions of e-commerce parcels. 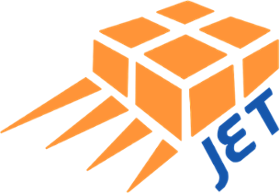 Securing parcel supply chains are critical to maintain quality of service in the online marketplace. Most Customs and Border Patrol (US CBP) employees remained on the job during the 2013 US government shutdown. US CBP clearance is considered essential. If the government is shutdown in 2013, many predict that the majority of CBP staff will remain on duty. However, disruptions from other government agencies and low morale at CBP - many of whom were not getting paid - could impact the timely clearance of parcels imported to the USA . 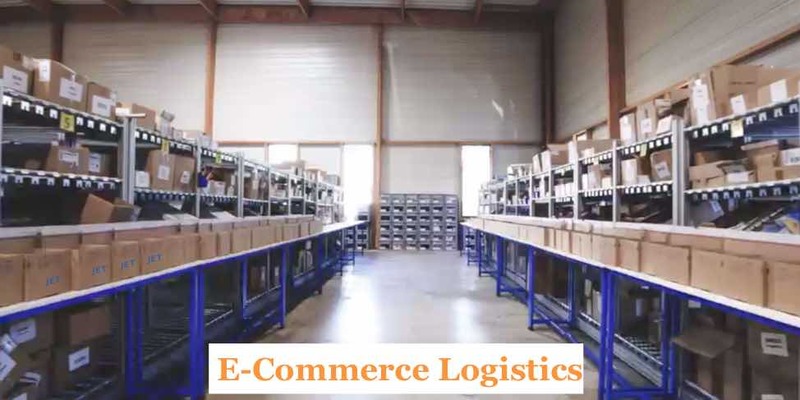 The best practices of high volume direct order cross border e-commerce parcel clearance is to diversify methods of import (CFS and ECCF), ports of entry, and carriers.